Louisiana-style hot links are smoked sausage links packed with spices that bring the heat -- everything you'd expect of Louisiana-style food. 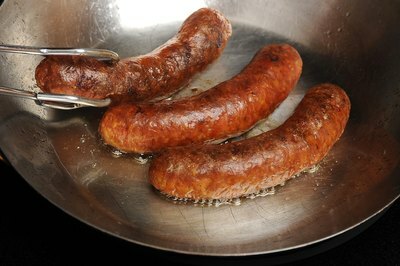 True Lousiana-style hot links should feature a natural casing that produces an audible snap when you bite or cut into the link. Links can be served whole or cut in pieces for dishes such as jambalaya, gumbo or dirty rice. Try cooking them on a grill when camping or hosting a backyard barbecue, fry them in a skillet when you must cook indoors, or broil them for quick results similar to grilling. 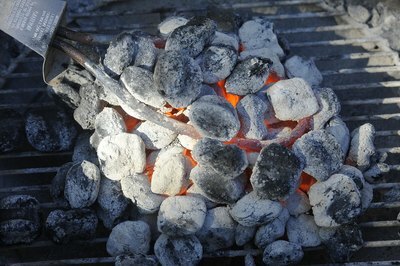 Preheat the grill to medium-high heat -- use approximately 35 to 40 briquettes if using a charcoal grill. Brush the grill grates with a bit of cooking oil to prevent sticking. Place the Louisiana-style hot links on the grill, leaving at least 2 inches of space between links so you can turn them easily. Close the lid and cook the links for roughly 7 minutes or until the side that faces down develops a rich brown color. Turn the links and cook for about 7 more minutes to develop the same brown coloring on the opposite side. The casing should begin to bubble but not split. 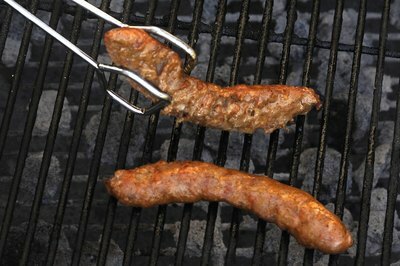 Use tongs to turn the hot links; piercing them with a fork causes juices to escape. 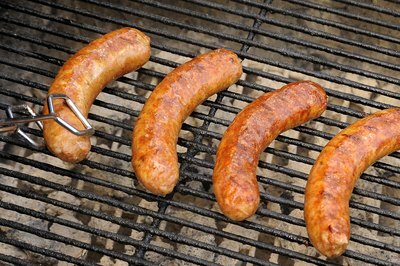 Cut each hot link in half lengthwise and place them on the grill with cut sides facing downward. Cook for another 2 to 3 minutes to brown the cut sides. This optional step helps achieve more grill flavor in every bite, but you will sacrifice much of the flavorful juices inside the links. 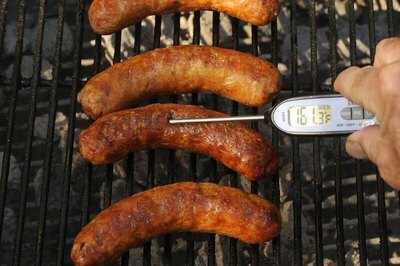 Insert a meat thermometer in the center of each hot link to ensure the meat is cooked thoroughly. 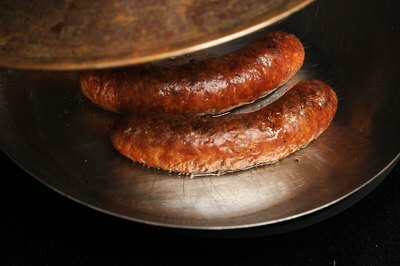 The U.S. Department of Agriculture Food Safety & Inspection Service recommends 160 degrees Fahrenheit as the safe minimum internal temperature for cooking beef sausages. 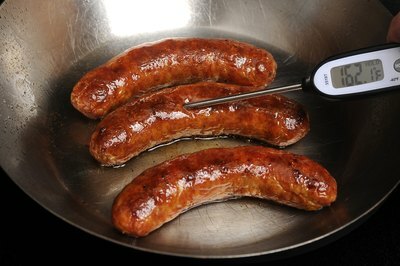 Louisiana-style hot links are sometimes made with chicken instead of beef, which should be cooked to a minimum internal temperature of 165 F.
Preheat a skillet over medium-high heat. 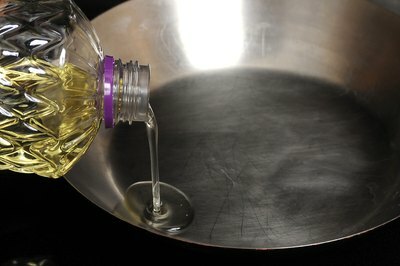 Add just enough cooking oil to coat the pan, usually between 1 to 2 tablespoons depending on the size of the skillet. Cut the hot links in half lengthwise, if desired. This step is optional, but the links take less time to cook to the desired internal temperature and you have a greater surface area to sear if you cut the links. 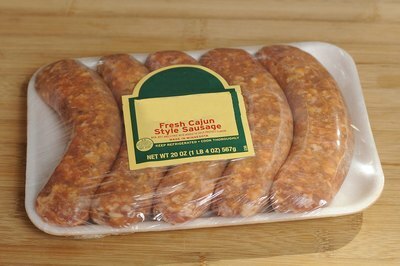 Alternatively, you can slice them 1/2-inch thick if you want to add Louisiana-style hot links to gumbo or a similar dish. 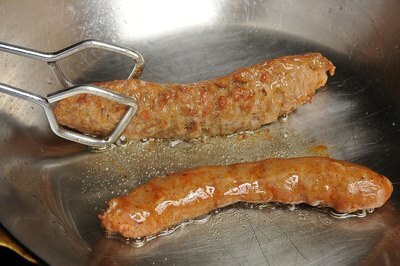 Place the hot links in the skillet, leaving space between each piece for even cooking and so you can flip them easily. If you opted to split the links down the center, place them in the skillet with the cut side facing down so you can sear the cut immediately and seal in the juices. Flip the links with tongs after about 3 minutes or when well browned. Cook the other side for another 3 minutes or until browned. Reduce the heat to medium-low. Flip the links back to the original side and cover the skillet with a tight-fitting lid. Cook the links over medium-low for about 10 more minutes, turning them once, or until the internal temperature reaches 160 F for beef links or 165 F for chicken hot links. 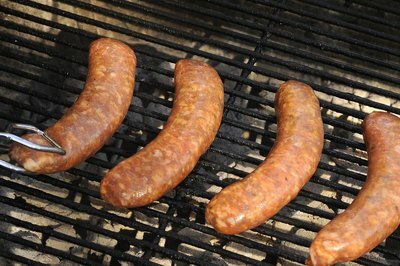 Links cut in half or sliced take significantly less time to cook than whole hot links. 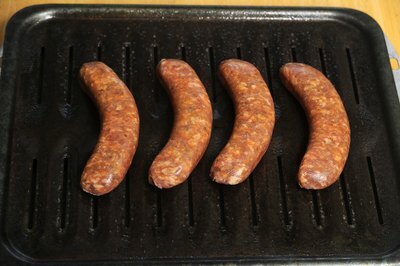 Look for the brown color as a guide, but always follow the temperature guidelines to determine if hot links of any size are thoroughly cooked. Adjust the highest oven rack so it rests about 10 inches below the broiler heating element. Set the oven to the broil setting. 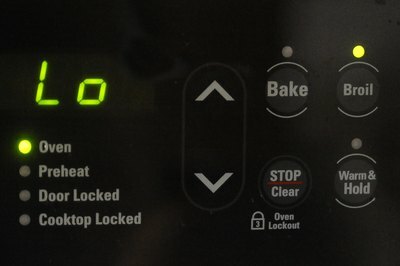 The broil setting doesn't typically require you to preheat the oven, but you might wait at least 5 minutes so the oven is hot when you add the hot links. Spray a broiler pan or baking sheet with non-stick cooking spray or brush it with oil to prevent sticking. Arrange the hot links evenly spaced on the pan. Place the broiler pan on the top rack under the broiler heating element. Turn the links over with a tong after 5 to 7 minutes or when the tops of the links are evenly browned. Broil the second side for another 5 to 7 minutes or until evenly browned. 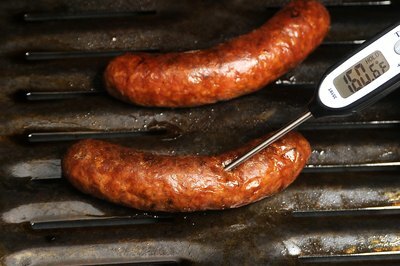 Insert a meat thermometer in each link to ensure a minimum internal temperature of 160 F for beef hot links or 165 F for chicken hot links.